Beautiful patio located in the heart of historic downtown Santa Fe. Breakfast, Lunch and Happy Hour. 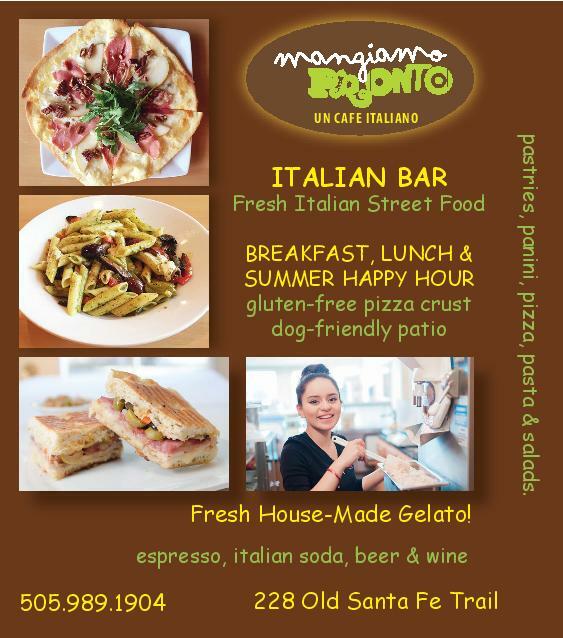 An authentic Italian sidewalk cafe and bar serving delicious food and beverages including wine and beer all day on a great patio.